Amazon has lightning deals that end very fast as soon as the limited supply runs out. I just caught sight of this amazing deal. Seagate Barracuda 2 TB 3.5-Inch Internal Hard Drive is now available for just $89.99 in the Amazon Lightning deal section. 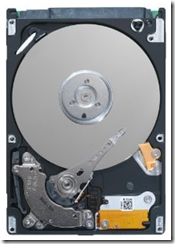 If you have been looking for a 3.5” internal hard drive, this is a steal for a 2 TB drive. Hurry up as these deals go fast like the Woot.com deals.